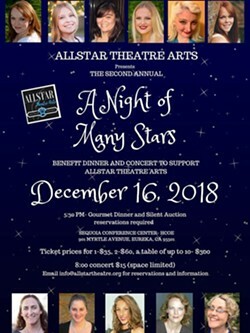 Allstar Theatre Arts' annual dinner, concert and live auction benefit.The silent auction and drinks will begin at 5:30 pm. A three-course gourmet meal catered by one of Allstar’s own teachers, performers and chef, Carrie O’Neill will be served at 6:00 pm. The performance will begin at 7:30 pm. 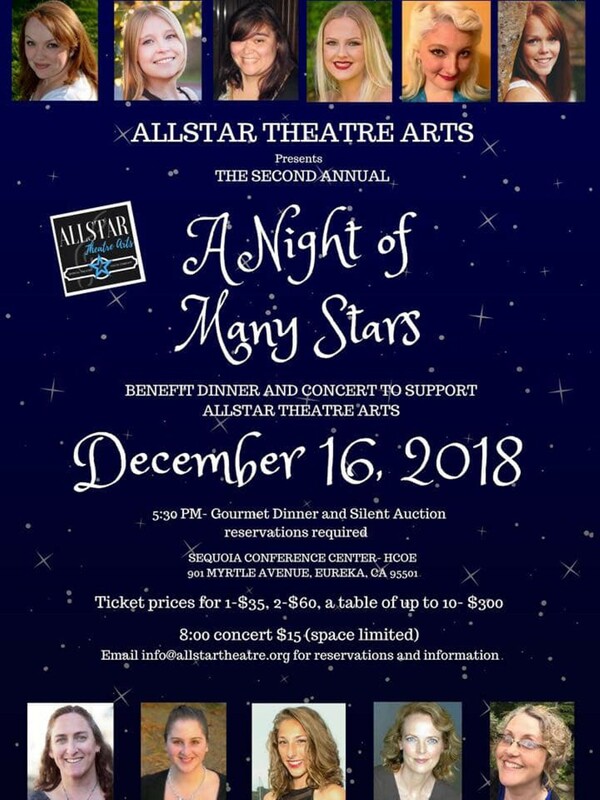 All of the proceeds go towards Allstar Theatre Arts children’s scholarships and to assist the Allstar teams with their many travel and performing expenses.